Characteristics: The back is flat and the front has raised textured details. 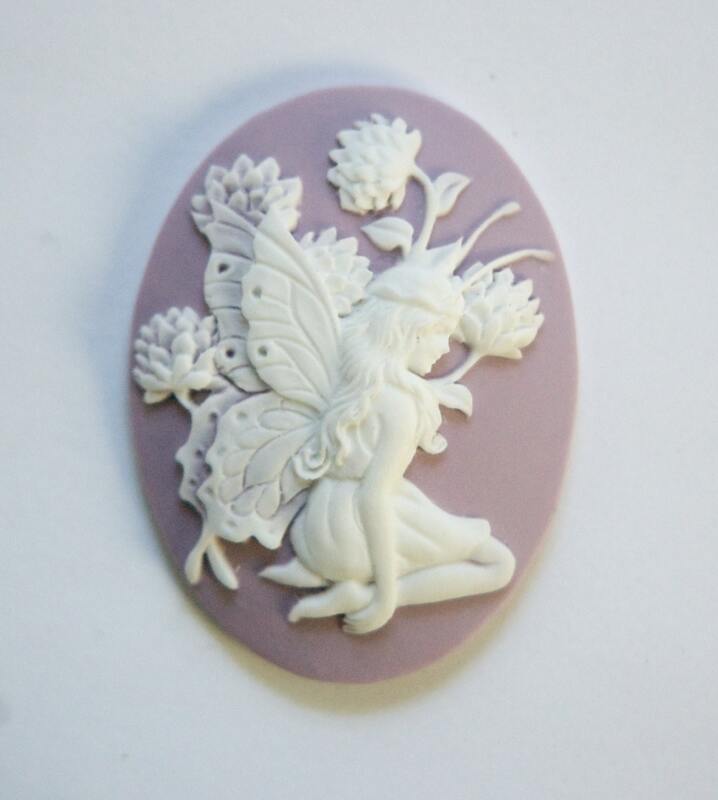 Color: Lilac base with white fairy who is kneeling. 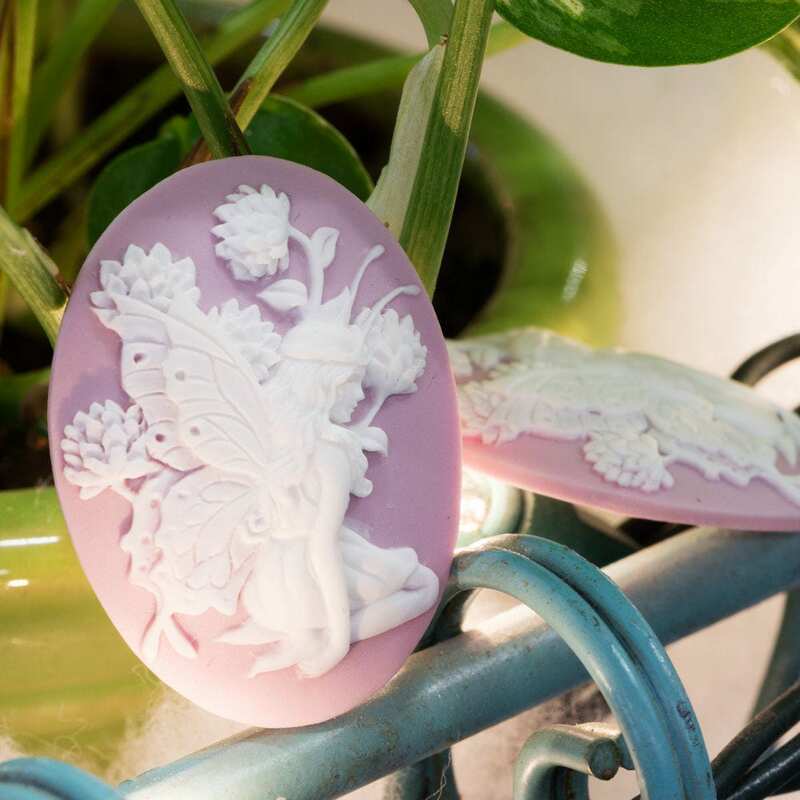 Gorgeous cameo will be ordering more. Fast shipping on items. Thank you love this product! I love these, they are so pretty! Your service was great, thank you. Beautiful cameo. Very happy with purchase. I appreciate the fast shipping so much. This was a flawless transaction from start to finish.